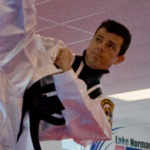 At Go2KarateSites we help our clients crush their competition and grow their Martial Arts Schools beyond expectations – now we are taking it to the next level by bringing…. Google LIVE to you! 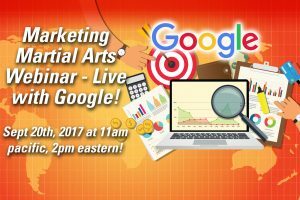 Marketing Martial Arts Webinar – Live with Google! Sept 20th, 2017 at 11am pacific, 2pm eastern! …having a website so good that every time a lead lands on your webpage they call you or fill out the form on your page! …having the website design – the parts you don’t see – be setup so Google (and the other search engines like Yahoo and Bing) rates your site at the TOP of the page. You may have a “beautiful” site on the outside but if the insides are not correct you wont get traffic. …what you MUST know about Google Pay-Per-Click (PPC) advertising and how to get the best return on your investment (ROI)! And reserve your spot before it’s full. Again it’s LIVE on Sept. 20th, 2017 at 11 am pacific / 2 pm eastern! 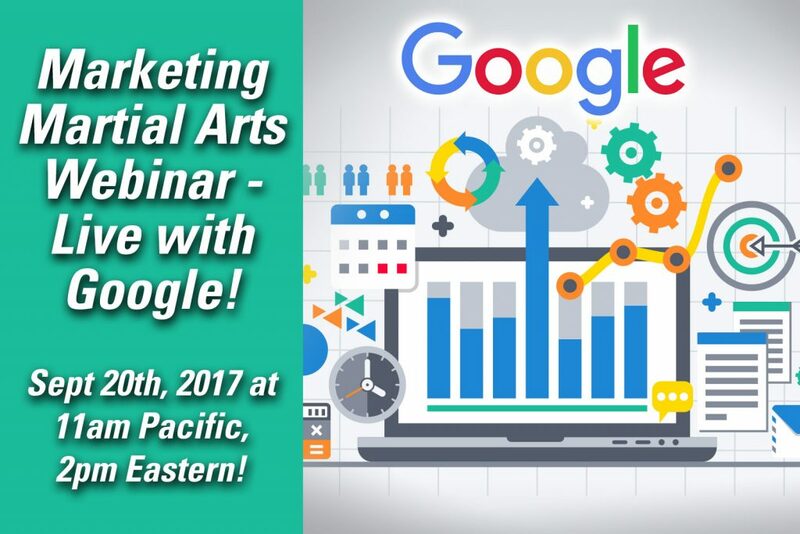 Previous Post: Go2Karate Presents Marketing Martial Arts Webinar with Google! Next Post: Thank You For Joining Us!